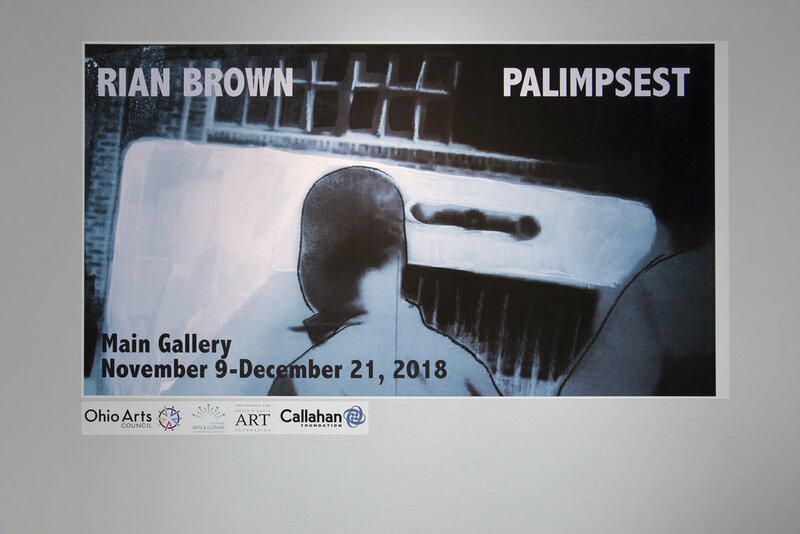 This solo exhibition at The Sculpture Center in Cleveland reveals a process that I developed to make animated moving images that involves drawing/painting/retracing onto films. The source material is an archival film clip or filmed sequence that I have shot. I print out each individual “frame” of the film onto a piece of 8 x11”paper and hand paint each micro-moment of time. There are twenty-four frames that make up one second of time. 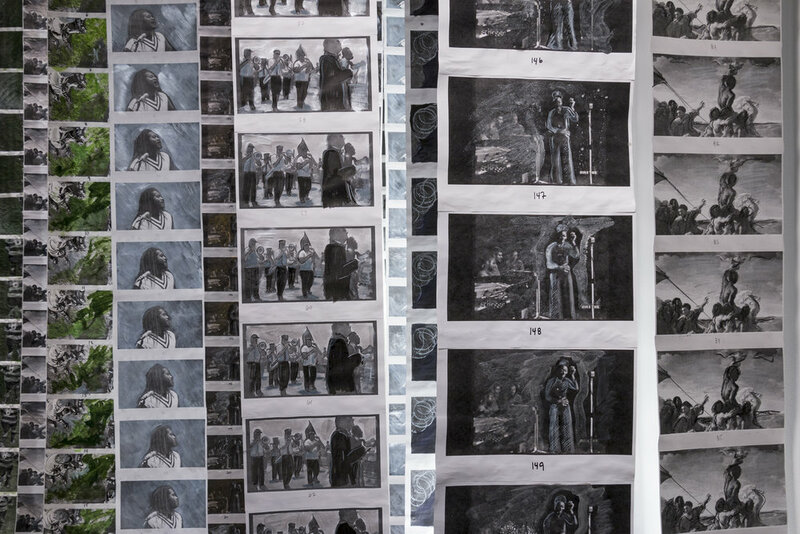 Then these painted images are then re-photographed into what is a fully combined moving image sequence. I call this process DIG-TAC, which stands for for the intersection between digital (video) and tactile (painting/drawing). 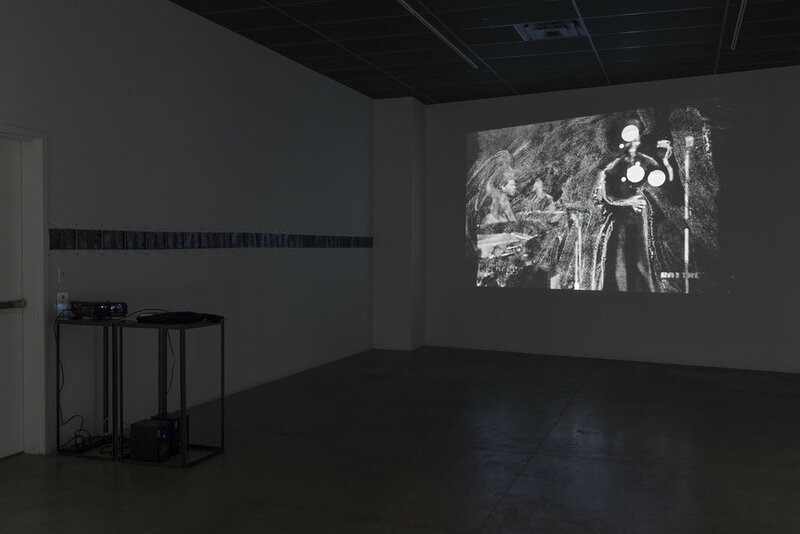 Formally, it is a cycle from film to painting, back to film, resulting in an emotional, psychologically intense viewing experience – a palimpsest of sorts in which the images embody layers of time being re-traced, re-membered, re-imagined. Each of these cascading sequences that come from the ceiling to the floor in the exhibition are made of twenty-four individual “frames” which represents one second of time. 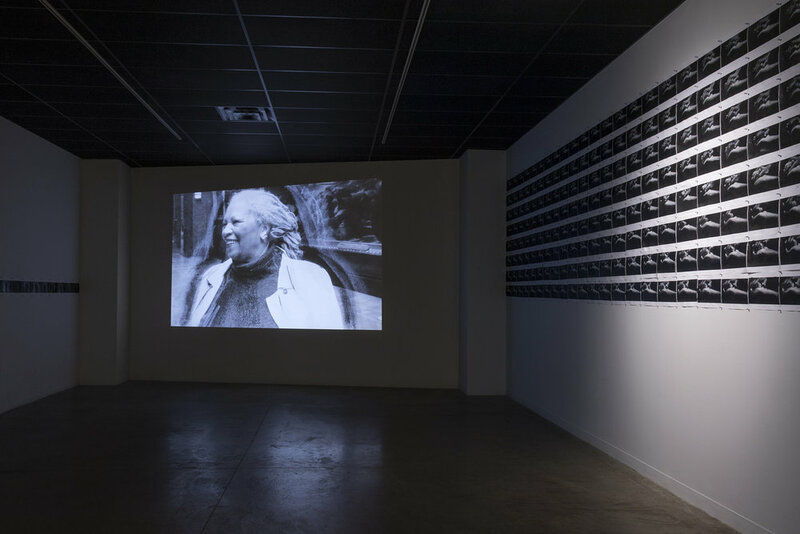 The images you see in this solo exhibition at The Sculpture Center in Cleveland are animated sequences from the film, The Foreigner’s Home (2017) a full-length documentary film that I co-directed and produced that explores Toni Morrison’s artistic and intellectual vision. 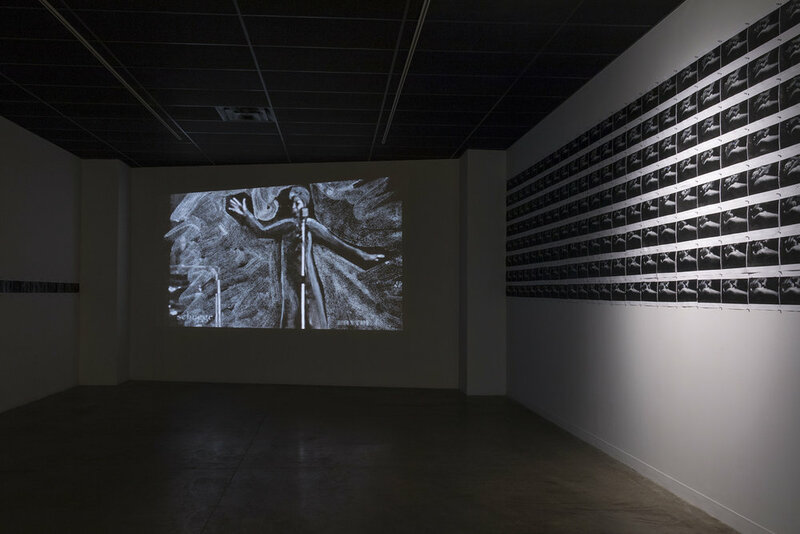 The animated DIG-TAC images are of Nina Simone, Martin Luther King, Lil’ Buck, a New Orleans second line, D’de Kabal, Toni Morrison, a Syrian refugee, and The Raft of the Medusa a painting byTheodore Gericault, a bird in hand sequence based on a parable from Toni Morrison’s Nobel acceptance speech in 1993. The animations were designed to build a visual world to support the prophetic words and ideas of Toni Morrison in the documentary film I recently made which explores her artistic and intellectual vision through “The Foreigner’s Home” 2006 exhibition at the Louvre in Paris, France. The film presents a series of candid and incisive exchanges about race, identity, “foreignness” and art’s redemptive power.